The Samuel Kraemer Building, designed by M. Eugene Durfee and built in 1925 by the oil-rich Samuel Kraemer, was the first high-rise building constructed in Orange County. The six-story Beaux-Arts-style commercial building, originally named the American Savings Bank of Anaheim, remained the tallest in the county for over four decades. 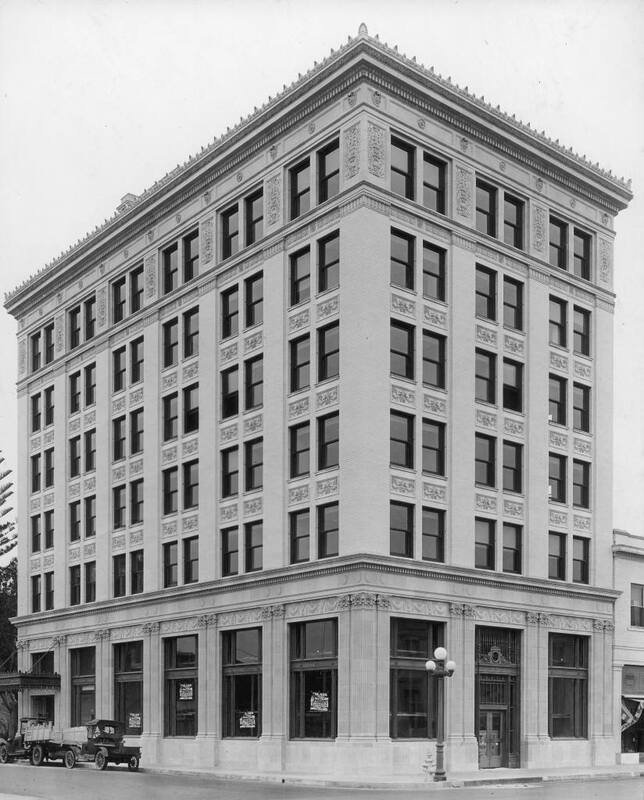 In 1983, the Kraemer Building was listed in the National Register of Historic places, preserving it as an important part of Anaheim's history. Today, the Kraemer Building is the sole surviving building of its era. The exterior of the building was restored to its original design and condition in the 1980s. The interior of the Kraemer building has been renovated and converted into high-end apartments and vacation rentals, combining modern amenities with historic architectural elements. The lobby of the building, available for party rentals, still features its original granite flooring, grand wrought iron staircase, and soaring, hand-crafted ornamental plaster ceilings.